Wonderful opportunity to live the dream in this carefree condo overlooking the Intracoastal Waterway! 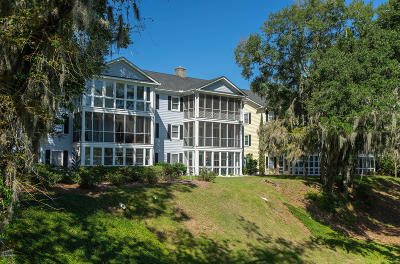 Perfectly located between downtown Historic Beaufort and the Village of Port Royal. This is a small condo complex with just three buildings. There is an electronic gate, a one car detached garage, a swimming pool and a fantastic community dock on the ICW. This unit is on the second of three floors and the building has an elevator. The unit has been nicely updated with Couretec laminate flooring with cork padding, granite countertops in kitchen and baths, tile floors in baths, upgraded plumbing fixtures and appliances including new washer/dryer. The master suite opens to the screened porch and overlooks the waterway.